Officials with School District 15 have given the producers of an upcoming film on Bathurst High School's run to the 2009 provincial basketball championship permission to film scenes on school property. 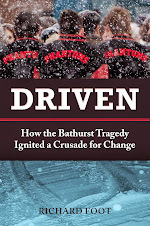 The film, tentatively titled The Phantoms, will tell the tale about the school's inspirational victory a year after a tragic accident in January 2008 on a snowy highway claimed the lives of seven young players and the coach's wife - a loss that threatened to decimate the school's basketball program and left the community grieving. While Dream Street Pictures, the New Brunswick production company that will make the movie for CBC Television, has announced the story will focus on the period after the accident and the school's uplifting success on the hardwood, some of the parents of the fallen players are disgusted with the district's decision to allow filming on school property. They believe the film is happening too soon after the tragic accident and have asked the filmmakers to postpone or cancel the project. District 15 Supt. John McLaughlin said he's aware some oppose the decision, but he believes many others support the film and the notion it should be shot on location in the northern New Brunswick city. "We took our time to make this decision, that's for sure. We wanted to consult with a wide range of people who were either immediately impacted by the Bathurst High School tragedy or people who were involved with the (Phantoms) basketball team, which won the provincial championship in 2009, as well as people in the community," he said. "We know this is a very sensitive topic in our community. We spoke with many people and the general consensus - though, certainly not unanimous - was that this is an inspirational story that should be told and that it would be fitting for it to be filmed in Bathurst." He said he asked for a copy of the script before he considered granting permission. "I was comfortable with the way the story is being treated in the script, and I believe it will be handled sensitively as the production moves along," he said. "The discussions I've had with (Dream Street Pictures) have been very positive, and we're quite comfortable with their track record of making very sensitive and, I guess, principled kinds of movies." When asked whether the district may be compensated financially for access to its facilities, McLaughlin declined to get into specifics, saying only that the district will be negotiating with the production company over access and other terms of this agreement in the coming weeks as filming nears. Isabelle Hains, who lost her son Daniel in the accident, said she can't understand why the school district would want to be involved with the project. "Is it so they can have a part in this movie? Is it (because of) the mayor? Are they going to profit from this? Are they getting paid?" she said. "Is it all about money and not about parents' feelings anymore?" 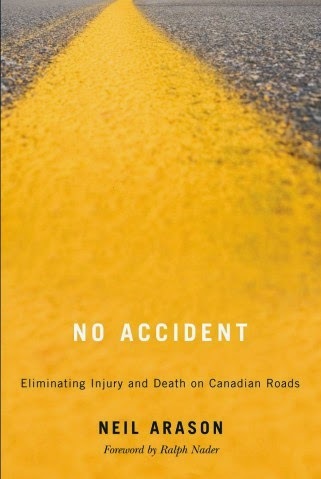 Hains, who has campaigned tirelessly to improve New Brunswick's policies and safety standards around student transportation in the provincial education system since the accident occurred, said her heart sank when she discovered the decision had been made. "They're going to be making that moving in the same gym where my son played, where they were having the time of their life in high school," she said, her emotions evident in her voice. Ana Acevedo, who's still grieving the loss of her son Javier, said many of the families affected by the accident are against the project and the use of school facilities for filming. "Here we are trying to rebuild our life, day by day, and dealing with our sorrows every day. It's us who have to get up every day and deal with a missing child. It's us who have to have breakfast in the morning with a missing child. It's us who have to have Christmas with a missing person," she said. "They didn't lose anything. And then I hear that in October, November, they are going to come to the city, to rewind us back to 2008, to remind us (of the province's) negligence (in regards to the transportation of students in 14-passenger vans), that they didn't do their jobs. But I guess that doesn't matter." Rick LeGuerrier, co-producer of the film, said it would have been possible to film the project elsewhere, but he believes shooting the movie in Bathurst is the right thing to do. "We're certainly grateful for the trust that the school district, and by extension the Bathurst community, is demonstrating by allowing us to shoot the movie in Bathurst and use the school facilities," he said. "We really want to make sure that our approach to this production is really going to honour that trust that they're showing in us." When asked why his company, having heard the concerns of these parents, is willing to continue with the project, he said the opportunity to tell an inspirational story about what happened after the accident and to supplement the local economy through several weeks of production helped them feel comfortable with their decision. "Certainly over the last week or two, we've received support and really good advice from many people," he said. "We're really appreciative of that and that's kind of helped us move forward with this ... Clearly, we think this production is better done in Bathurst than somewhere else for a number of reasons. We're really pleased that we don't have to move it to another location."